Writing a Joint Business Plan (JBP), creating Joint Business plans, JBPs, or terms negotiations, as they can be known, are all a relatively new phenomenon in the world of supermarkets and suppliers. Whilst some supermarkets and suppliers, particularly the brands, have talked about joint business planning for some time, it is only in the last few years that it has become ‘business as usual’. Now featured in industry news and some Joint Business Plans are published online – This JBP is for Tesco and Nestle in Poland. The first moves towards a JBP were made when Category Management and ECR made an appearance in the 1990s with tools like the Category Scorecard. Hard nosed buyers and sceptical account managers reluctantly dipped their toe in the water of true collaboration. Though, as Stephen Covey writes in habit 4 win:win, the only way forward is together for mutual benefit. The definition of joint business planning is to work with a collaborative mindset towards mutually goals agreed for the benefit of the supermarket, supplier and the shopper. In Accenture’s free report on joint business planning they talk of a change in mindset for both parties to achieve ‘Increased trust among parties’. And, of course, Accenture are right that trust is absolutely essential for a joint business plan to be effective. Plus, the IGD industry survey on Category Management Capability and Partnership of 2014, said that, ‘Too often trust is the biggest barrier to putting any proposal into action’. The challenge is that trust is hard to build and even harder to understand, and particularly for people representing two large companies, where the aim is to make as much money as you can, usually by giving the other party less. Whilst discussing trust can be a sensitive topic and a brave topic to raise, by doing so provides a solid foundation to build upon. The simple choice is to either raise these issues now, when both parties are wanting to build a future together, or to become frustrated when nothing happens. Action: Add ‘Building further trust’ as an early agenda point in your joint business planning meeting. ‘Keep It Simple Stupid’ is a mnemonic that is often said and rarely used. In joint business planning the watch out is not to write a joint business plan together where people spend days locked away in darkened rooms solving the vision, the big category problems, discussing shopper switching, the next range review, why promotions don’t work, and the ‘kitchen sink’. The challenge and the brave approach is to work on less to achieve more. This document could be just one page, but is a bought-in, thrashed through and motivating page that both parties agree to start with and then review in 3 months. An 18 month plan is about the right timescale to tackle a joint business plan. Whilst there are those that will advocate 3 year and even 5 year business plans are needed, the challenge is that most supermarket buyers will not be in place beyond 18 months, and many account managers too. Action: Agree the scope of the joint business plan by dividing a page into two, headed-up with scope and then 2 columns; In and Out. Agree what is in scope, e.g. Discussions that are big picture and what is out of scope, e.g. The day-to-day detail. In our Time Management course we talk with the learners about the importance of having a project list and describe the daily to do list as the wheels of a car, and the project list as the steering wheel. Those without a project list fail to steer towards their KPIs and KRAs, preferring to work on the day-to-day, refusing to acknowledge the big stuff and claiming that they are ‘too busy’. The same is true of joint business plans and the key is to define the outcome. Instead of writing ‘Promotions Project’, change it to a project outcome title, which could be ‘Promotions Adding Sales of £5m p.a.‘. Whilst a subtle change, the difference is that if no traction is made the impact is obvious – £5m lost. Plus, it is less likely that the person will remove the project when the outcome is obvious, and the project owner can genuinely begin with the end in mind – £5m sales to identify. Making traction on the big projects is essential to see early progress on joint business planning. For each big project the collaborators need to agree the first 3 practical and simple actions to get the project moving. Even if those actions are to get together for 1 hour to brainstorm how to achieve £5m additional sales from promotions. It is imperative that these debates are not tackled at the Business Planning meeting because this is ‘scope creep’, which means that it is against the scope that was agreed, and that the meeting will achieve very little because too much is trying to be achieved. Action: Change project titles to project outcomes and agree the first 3 practical and simple steps for each project. The experience of most people is that business plans are built with love and sit on a shelf with hate. Their examples have taught them that joint business planning is a necessary evil and ultimately achieves very little. The brave move is to change your mindset and get out of the self-fulfilling prophecy, by doing Joint Business Plans differently to the last 10 times. Helping to achieve that is a simple dashboard showing the Category Targets, Category Measures, Enabling Big Projects, Project Milestones, & Ways of Working and most importantly, the progress, with a short commentary. Ideally on one page, the dashboard is published every 2 weeks because 1 week is not long enough to see progress and one month is too long if progress is going off-course. By having a dashboard the joint business plan is kept alive. Action: Propose a simple dashboard that is to be published every 2 weeks, for the group to approve. A smaller team is the brave move. This is because during the landing of Category Management and ECR in the 90s, the supermarket team and the supplier team would be around 12 people each and whilst this was more a demonstration of collaboration and ‘equalling the fight’ than anything else, progress was slow. Nowadays a smaller team can achieve more if they accept that their accountability is to get the information, persuade the other departments, and basically make progress, not being able to cite every other department in their company as the reason for not achieving the required progress. A smaller team should meet every quarter with the only point on the agenda to discuss the joint business plan. These dates need to be diarised for the full 18 months. Again, scope is important because the temptation will be discuss the other 100 issues that need addressing, but bravely accepting that the joint business plan, if delivered, will achieve everyone’s goals, then this is the only topic of discussion. Refresh on the joint business plan. Ways of Working – Have these been adhered to? What else needs to be done? Performance Vs the agreed targets. Project progress Vs the agreed milestones. 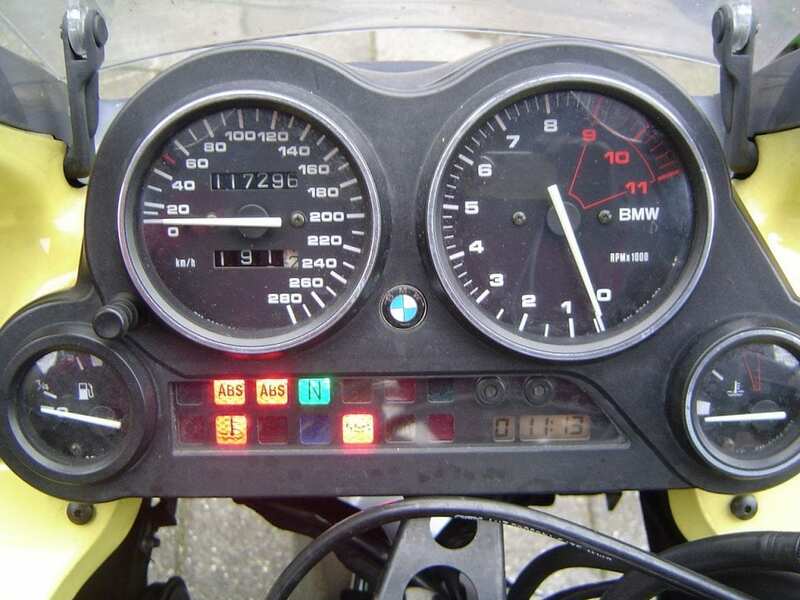 Discuss the usefulness of the dashboard, not being tempted to make it too onerous. Run through the actions stating what, who and when very clearly and emailed before everyone leaves (Top tip: Capture actions on email as the meeting progresses, not afterwards because each one is likely to be re-debated). Agree the date of the next meeting. Action: Propose dates for the next 18 months and a suggested agenda. In the most recent IGD trading survey both suppliers and supermarkets ranked ‘strategic alignment’ and ‘long term planning’ as important now and even more important in the future. The supermarkets said that having these skills was what a supermarket would expect from a ‘best in class’ supplier. Strategic Thinking, as well as being one of those overly used terms and mystifying skills, has now become essential to joint business planning. So much so that job advertisements are asking for applicants to have joint business planning experience. Strategic thinking, strategic planning, having strategic objectives are about being able to see the big picture, identify insights with high impact and make them happen. The skills of joint business planning are the same, as well as an effective use of some negotiation skills. The brave move would be to initiate a joint business plan with the supermarket and begin to implement this roadmap to category growth. Action: Read this post on strategic thinking and consider an executive coach to prepare you for your next JBP so that you are the best version of yourself when you negotiate, share your big picture thoughts and discuss trust. Initiating, or being invited to a Joint Business Plan meeting, is pivotal to every supplier because, of course, terms are negotiated and the outcome will have a high impact on the supplier’s annual performance, but also a Joint Business Plan meeting is an opportunity to demonstrate ‘best in class’. Best in class for category understanding, shopper understanding, supermarket understanding, possible solutions, and how to manage these plans to make them work. For these reasons the preparation for a must win meeting must be to achieve the old adage of ‘sweat in training, no need to bleed in battle’. Role plays are an undervalued tool for preparing and for getting the heads-up on those things that could not be predicted, and yet happened. When millions of pounds can be at stake for one meeting, it pays to be prepared, ask the experts for help to be the very best version possible. Action: Book a role play with a suitable colleague/s so that you can sweat in training, or contact us for help. See our Fyffes testimonial for how we supported them. Stating the blindingly obvious – It’s all about trust. KISS is the route that succeeds most with joint business plans. Naming the Big Project Outcomes is the Key to Success. A Simple Dashboard Every 2 Weeks to Keep Things Moving. Reviewing the Joint Business Plan Quarterly Together. Strategic Thinking is the Essential Skill. JBP Meetings are ‘Must Win Meetings‘ for Any Supermarket Supplier. What is your top tip for writing a JBP? Please share your view by commenting at the end of this article. 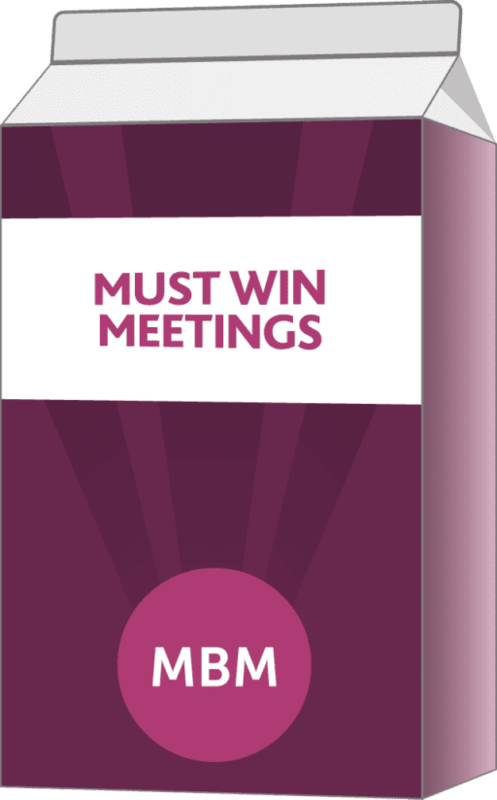 A Must Win Meeting Masterclass is only £750+vat for up to 12 people (£62.50 per person). Contact us to book. Helpful article, really liked point four. Keeping the dashboard simple and positive is essential, and I completely agreed with the concept of using two weeks to publish it, as opposed to one or a month for the reasons stated. Also, loved the use of the action suggestions. I think point one is where it all starts, trust is so important and although both parties are just trying to do their job and make as much money as they can, I believe a relationship is very valuable and trust is key to this. Great read. Good read, point 3 really stood out to me, I feel that its so important not to lose sight of the big picture and to always have that goal in mind. Develop your people with a better return on investment using 'Sticky Learning ®'. Gain more traction with supermarket buyers.